At the Microsoft conference at E3 2017 we saw an impressive lineup of more than 40 titles; however, many found the lineup not that satisfactory since none of them was from 343 Industries (Halo) or The Coalition (Gears of War). Fortunately, you can rest easy, since the star studios of Microsoft are both already working on their new projects. In a recent interview with Famitsu, Phil Spencer, chief of Xbox, revealed the above. The executive said that he already had the opportunity to see what these two studios are doing and believes that it is already an “amazing work”. 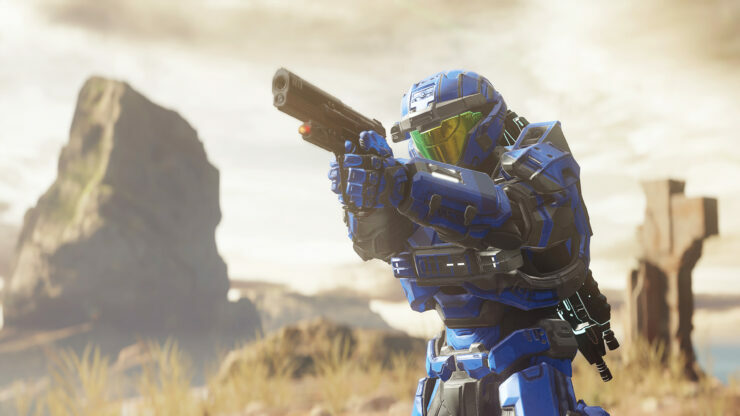 Did you expect to also know a bit more about what 343 Industries and The Coalition are preparing? Then we have some bad news for you, as Phil Spencer didn’t give more information about the new games. It is a fact that 343 Industries are already working on a new Halo, but it seems that we’ll have to wait for E3 2018 to hear something about it. On the other hand, The Coalition continues its efforts to support Gears of War 4 while building the next franchise installment. In the interview, Spencer also pointed out that he is proud of the lineup of games that Microsoft showed at E3 2017, because games like Sea of Thieves, Super Lucky’s Tale and Ori and the Will of the Wisps show the diversity that players can find on Xbox One and Windows 10 PC. Likewise, he thinks that they did not need to announce a new Halo or Gears of War to have a good conference. Remember that a few weeks ago Spencer pointed out that Xbox does not need to depend on Gears of War and Halo. Also, the Xbox boss acknowledged that fans are thirsty for more AAA exclusive titles and his words seem to indicate that they are willing to please them.